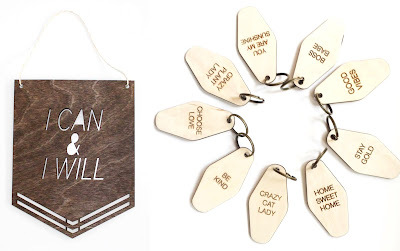 Laser Cut Home Goods Celebrating Life, Nature & Positive Vibes. Lovingly Handmade, from Design to Cut to Assembly to Packaging. I’m about ready to consider laser cutting it’s own artistic category. Usually I group these artists by the main media they cut or by the end products they make, but in many cases, laser cutting is a significant part of their craft. 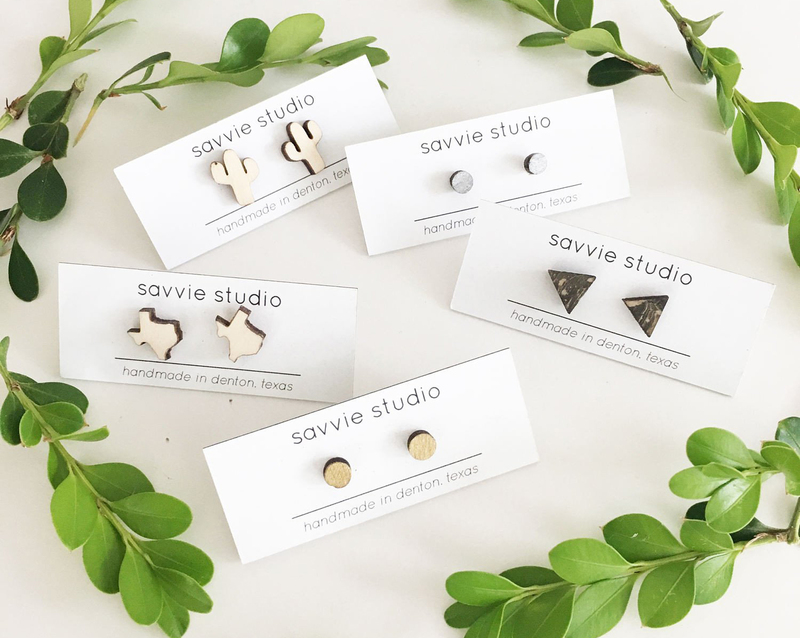 Take the lovely Savannah Kurka of Savvy Studio. Most of her designs are rendered in wood and either painted or embellished with marbleized details. She makes all kinds of items, from planters and decor to jewelry and key chains. But the uniting factor is her laser cutter and the design aesthetic she’s developed through years of experimenting. Savannah admits that it was love at first laser cut, a tool and technique she picked up while in school. It wasn’t long before she turned her home into a studio so she could dedicate herself to her art. I really admire Savannah’s passion for being involved in each step of the process. She comes up with the designs, her current style a unique juxtaposition of modern and boho chic. She then uses her laser cutter to produce the elements she needs for assembly. Some items are made from one piece of wood while others are a combination based on their desired purpose. A planter for example needs legs to stand, but her key chains are simpler, more focused on a laser etched message. I personally love the pieces she marbleizes because they end up with one-of-a-kind patterning, usually a mix of black and the natural wood tone. You can see Savannah’s appreciation for nature in a lot of her latest pieces. Most are made to hang and display air plants. 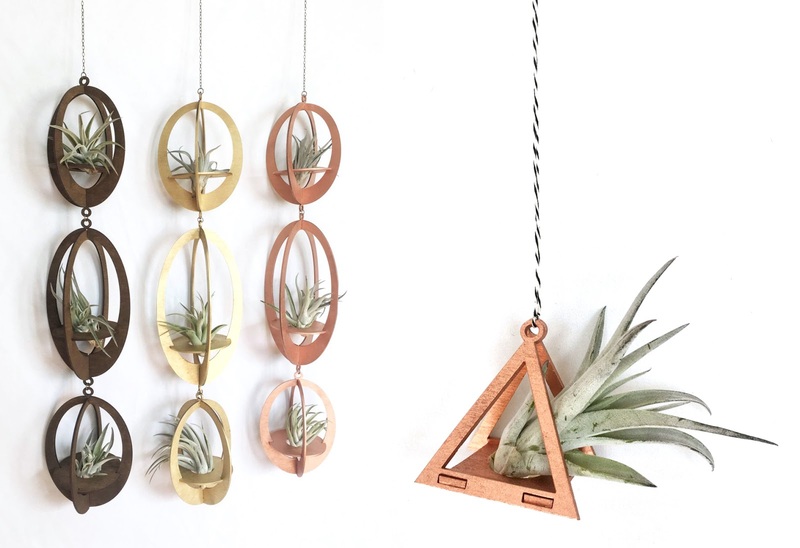 She plays with the combination of organic plant shapes and more geometric lines in her planters. It’s really a wonderful pairing. It’s amazing what a talented artist can do with a tool like a laser cutter. May your laser always burn straight and true Savannah!